Ever since Raymond Lam (林峯) announced that he is returning to TVB, many fans are waiting with excitement to see his comeback. 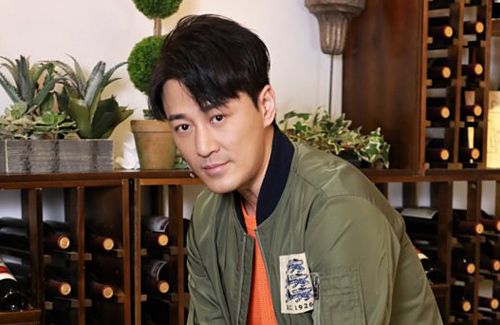 When Raymond left TVB to further his career in Mainland China in 2014, it can be said that Raymond’s relationship with the television network deteriorated, and thus his return was a surprise to many. When Raymond left TVB to join record label EEG in 2014, there was a rumor that Raymond was blacklisted. During that time, none of Raymond’s songs had good results on TVB’s music chart even though his songs topped the radio and download charts all over Hong Kong. In addition, TVB stopped promoting and interviewing Raymond. With a relationship that came to a stalemate, it was reported that TVB Deputy General Manager Felix To (杜之克) took the initiative to break the ice. Felix took steps to contact Raymond for work opportunities and also promised the actor the filming of Line Walker 3 <使徒行者3>. Raymond was especially interested in filming another followup to Line Walker, as his character in the original series was beloved by viewers and nearly gave him an opportunity to win the TVB Best Actor Award. As Line Walker 3 is a co-production with Tencent and will be aired simultaneously across multiple platforms, Raymond hopes that the familiarity and growth of his character with the audience will bring his career to a new height. As Raymond is now signed under Louis Koo’s (古天樂) management agency Sky High Entertainment and TVB’s record label, Voice Entertainment, the new partnership means that not only is Raymond reprising his character in Line Walker 3, but he will also sing the theme song for the drama. When asked if Charmaine Sheh (佘詩曼) or Jessica Hsuan (宣萱) will be the lead actress, Raymond answered that both actresses are busy and it will be up to the company’s plan. Settling Down is the Next Step? Line Walker 3 is expected to start filming this year in July or August. Raymond will continue his Mainland concert tour and will be performing in Macau in May. At the same time, Raymond will be applying to perform at the Hong Kong Coliseum. To celebrate his 20-year anniversary in the entertainment industry, Raymond will be working with The Voice Entertainment and hopes to perform at least 20 sessions. 1 comment to How Did TVB Persuade Raymond Lam to Return? I’m surprised his TVB mother, Ms. Lok, wasn’t mentioned.